Children just love marching to music! The combination of the movement, the strong, steady beat and singing along is irresistible to a small child. The Grand Old Duke Of York ticks all of those boxes so it’s not surprising that it is such an old favourite and a song that kids love so much. They were neither up or down! 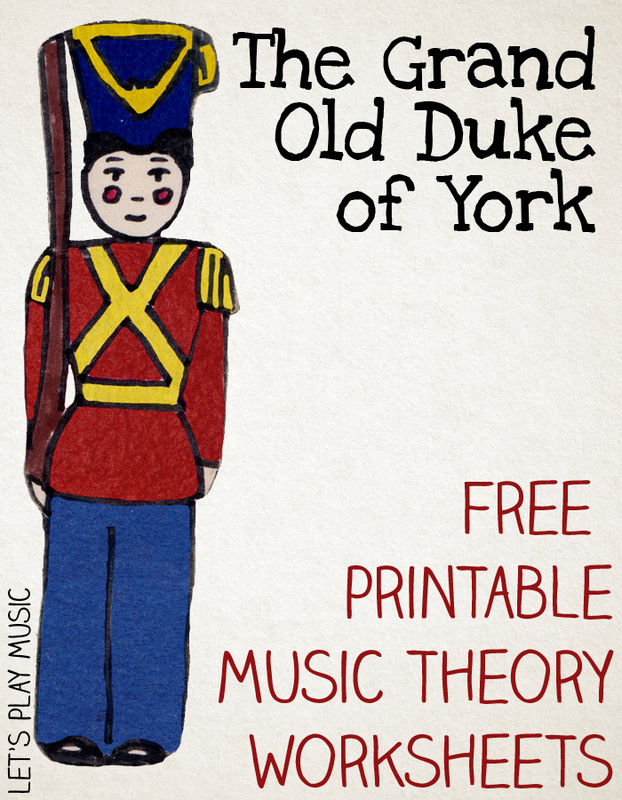 Click here to download the free printable music theory worksheet for The Grand Old Duke of York. Toddlers from around 2 years old will enjoy joining in with the traditional actions for this song, and happily march their fingers upwards to the top of an imaginary hill and march them down again. 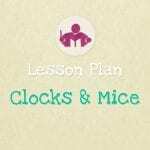 This is great for teaching the directions of up, down and half way and encourages movement in time to the music. We often change the last line to “The Soldiers All fell Down!” which of course ends up with everyone tumbling all over the floor which also goes down very well! If you are singing this with a group of slightly older children, you can get some of them beating drums to practice the steady beat while the others sing the song with the actions. This is excellent for learning to feel the difference between the rhythm and the beat, as they get a chance to switch between both activities while listening to each other at the same time. 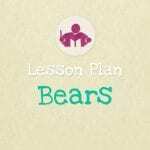 Kids will also love marching around like soldiers to the beat of a drum as you all sing, and you can experiment with different tempos and different types of steps instead of marching, like jumping, hopping, skipping or tip-toeing. This is fantastic for gross motor skills, co-ordination and imaginative movement. 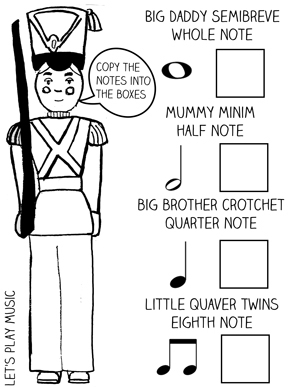 This simple traditional nursery rhyme offers plenty scope for exploring rhythm and movement and can be combined with our other soldier and marching activities for a fun Soldier themed music lesson. 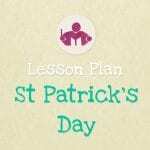 Check out our Soldiers lesson plan for lots of lively Soldier themed activities combined in a 30 min structured lesson, with step by step teaching notes and supporting resources. If you enjoyed this post, come and join us on Facebook, Pinterest or subscribe for many more musical activities!